It was a big year for the NBN™ in 2016 with 835,000 more Australians using the NBN™. In the year to come, 1,822,000 more households will be connected to the NBN™ compared to last year. That’s a lot more homes ready to tackle Australia’s increasingly digital lifestyle! Following the launch of the latest Sky Muster™ satellite, Aussies throughout rural Australia now have access to superfast broadband speeds. Customers on the Interim Satellite Service have been eagerly upgrading and the last of the migration is expected to be complete by the middle of February. If you’re still surfing the web on the old satellite, you should have received communications from us (whether it be an email or a call) to let you know that you need to change over to the new Long Term Satellite Service. After all, we don’t want you to get stuck without a broadband service when the old satellite is decommissioned in February! If you have satellite broadband, consider this a friendly reminder to make the change now before it’s too late. If you want to know more, check out the plans on our website or watch our video here! You may remember us mentioning Hybrid Fibre Coaxial networks (also known as HFC for short) in our throwback blog. HFC technology joined the NBN™ mix of technologies used to roll out the NBN™ network across the country. By the time we reach June this year, HFC is expected to be available to 830,000 premises. Last year, just 179,000 premises were connected to the NBN™ with HFC, so as you can see it’s going to be a big jump! Limitless data + High speeds + Great TV? Yes please! Last year our plans offering limitless data on the NBN™ arrived, allowing iiNet customers to download and stream without having to worry about data limits. Luckily for you, limitless data and superfast speeds on the NBN™ are exactly what you need to make the most out of streaming entertainment services such as Netflix and Stan. If you’re looking for a great pay TV service with on-demand movies and TV shows galore, why not take up an iiNet TV with Fetch subscription? 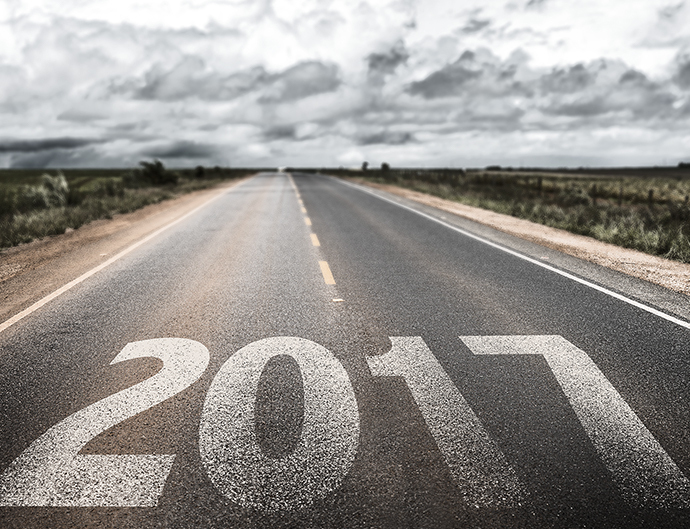 With so many new premises planned to join the NBN™ in 2017 and continual product enhancements to bring you the bells and whistles, you should make sure you stay up to date with the rollout. Bookmark this page to keep an eye on your address or join our wait list and we’ll keep an eye on it for you! Is your home is NBN ready? Check your address now and you may be able to pre-order NBN™ for ultimate peace of mind. It’s the perfect way to ensure you get connected with the right NBN™ plan for your home as soon as possible. What is the point of unlimited downloads when I’m paying for a NBN Tier 2 25/5 plan and you are unable to maintain even reasonable speeds during peak hours. My speed tests (and that of my neighbours on iiNet) consistently measure less than 4Mbps in the late evenings. We all went for almost two months never achieving much more than about 11 Mbps at any time tested. I have had an open ticket on this issue since November, which has been abruptly closed despite my last telephone call advising the problem was not resolved. A CSM who PROMISED to personally handled this has never returned a call or email. Today I will be sending an email to your Step 3 “Solutions Team” but I doubt that will have any effect either. That in addition to a complaint lodged with the TIO, and calls to NBN who directly who contradict what your support staff tell me. Your Cape Town customer service staff are polite but useless with respect to either addressing the issue or follow-through afterwards. If your business model is to drive away your customers, you’re well on the path to success. As you’ve lodged a complaint with the Telecommunications Industry Ombudsman (TIO) a Case Officer will be assigned and in contact within the time frame allocated for resolution by the TIO. Well of the 1,822,000 households connected we, in our inner suburb of Perth have no projected date of connection. Even then it will only be FTTN most likely. No light at the end of the tunnel for us !! Just wondered if NBN will ever reach Perth. Travelled round Australia last year, 30000km in 4 months, 65 different Wi-Fi and about 60 better than here. Perth does have quite a few places with NBN and it is rolling out in some suburbs. Perth – the home of iinet, yet here in the Northern Suburbs (Edgewater) our expected date of connection is has been pushed back TWO YEARS – so for years more we have hopeless connection speeds. By which time there will be so much congestion on the NBN that the speeds will likely be no faster. NBN seems to be nothing more than a PR exercise. Don’t get me started iinet. As a zoned skymuster property, reports like this are just another kick in the face. Let me keep my adsl2. NSW “safe” National party seat. Still no timeframe. Lismore NSW. When is NBN coming to our address @ North Arm Cove 2324 please ??? A quick check of some of the online tools available suggests that you’re due for a rollout beginning within the next twelves months. Any updates on Fixed Wireless offerings ? I get about 16mbps with ADSL2 thanks to iiNet ATM. No clue when, or if ever Midland WA will get NBN. Mines fast enough to stream and watch Netflix etc with rarely any issues. Just as an additional bit of info, Midland is on the rollout with some areas looking to be upgraded within the next 1-2 years. Why all BS about superfast NBN it is neither not super fast or anything else it would be lucky to beat ASDL2. This unholy Mess was handed to us by Turnbull and the Liberals instead of Fiber to the home we have third world service and speeds. every street around us has NBN except mine!! NBN box right out front of my house!!! Great idea for creating temporary jobs, but unless you have Optic Fibre, not copper wire, from the node to your residence then you will be unlikely to see significant changes in download speed. No fault of iiNet. Surrounded by nbn connected priorities, in Cranbourne North ,as our estate was established some 15 years ago it seems that at my age of 68 yrs I will never be connected to this new technology, dame shame! Another inner suburban sadsack here. We don’t even bother trying to download on Apple and if we’re using Netflix or SBS on Demand, noone else in the house can do anything including accessing emails. And I cant see FTTN making any difference to this. If it ever arrives. Don’t think we’re on the planning stage yet. Technically, both are valid answers! Why? It depends on if we have the required infrastructure in your area to be able to service NBN connections. Even though NBN may be available, if we don’t have the needed equipment, then we’re unable to connect you back to the network. FTTN Well for me that is a length of about 30 meters from the exchange under a road and to the node. The remaining 1 kilometer will continue to remain copper. What sort of improvement is that likely to achieve. This is a serious question so would appreciate a response. Thank you in advance. Realistically, you should see a marked speed improvement, as you’re effectively moving the connection source much closer to you. Think of it as the phone exchange being moved from several kilometers away, to being just across the road. Then take into account how ADSL works over distances and *loosely* apply that to a Fibre To The Node connection. TPG acquired the iiNet Group in September 2015, for $1.56 billion. When is there going to be decent reliable internet at the Sunshine Coast. Any internet that is fast and reliable. My internet drops out 2-3 times per day and speeds are highly variable – usually in the 4-5mb/s if we are lucky. Despite registering twice for news on when the NBN is coming to my area I have had no notification. Are internet services ever going to be any good in this country? 5 minutes from Parramatta central and zip, nothing, in sight, central Sydney wow, we are really looking forward to nothing. Much the same here in Coburg North, and from what I hear it’s not going to be worth the wait. FTTN is like an eight-lane freeway that connects to a country lane. As of this date we are still in the dark as to when NBN will be available to my suburb of Christie Downs. What’s all this about the ” Interim Satellite” how am I supposed to know whether or not my system is using this method. As you are my ISP perhaps you can advise me on what I’m supposed to do !!! A quick check of the current resources online shows that Christie Downs isn’t on the NBN rollout map. With regards to Interim Satellite, this was the previous generation of NBN Satellite services available to rural customers, who didn’t have access to any other connection options. As your area is an urban area, it would not have been offered there, so you are likely on an ADSL service or similar. Jeez, guys, yes it is frustrating to have to wait for access to increased speeds via NBN. My town is pretty much completed except for the area I live in and have to wait for another 6 months. It is just not possible to roll this type of program out overnight. I will disappointed if I cannot get at least 15Mbps speeds once it goes live. ATM I get 5mbps on adsl. I agree its all fantastic for those who can get it and great to know they get all this at minimal cost, while those of us that have satellite as the only option pay through the tooth for a measly amount of data. We have NBN at the end of our street and everyone else in our street has a port at the telephone exchange if they cant get NBN so they all get internet at reasonable rates either way. We have 3 teenagers at secondary school who are required to use internet for every class and we have no options. Nor, as mentioned earlier is there any date as to when we will have access to NBN. And so the frustration continues…………….Cant wait for the next cheery update about NBN! Off-Net ADSL2+ is available at your address. I already have ADSL, but what happens when Telstra turn off the copper?? No copper, no internet no money to iiNet!! Ideally, you would already be switched over to a replacement service by the time the copper is turned off. Living next to Alexander Drive, right next to a university (ECU) and Mount Lawley Senior High School. Estimated time of arrival, 2020 for NBN service which all evidence points to being worse than the existing ADSL due to inferior capability in management of a complex. I quite liked the original plan that all international research and Telstra agreed with, to go with full fibre to the home for all those possible. Pay more; receive worse and at more time and expensive. It is so frustrating to be aware that some NBN customers can get unlimited downloads. But with the NBN Satellite the data packages on offer fall far short of being adequate for our needs, and that is SO limiting! Further, while you boast “up to 25MB/s*”, what we get here in central Victoria is between 300KB/s and 400KB/s, which is also limiting. That is then made even worse when we exceed our data package for the month and get limited to no more than 128KB/s … which translates in fact as between 10KB/s and 20KB/s, and sometimes drops right down to 1KB/s! So, what is being done to: To improve the satellite service by way of speed? Provide larger data packages with a price that reflects the size of that data pack? Make the times Peak/Off peak more equitable? Suggest to the customer better ways to get a faster service? As satellite customers, we have a right to the same sort of service as any other internet customer in Australia. It is not happening! We absolutely understand your frustration, as we do want to align our products together as best possible. In the case of NBN Satellite, this just isn’t possible, as NBN have imposed strict limits on data use, in order to preserve the functionality of the network and remove risk of degradation of performance. Even then, the amounts aren’t as much as high as we’d like and will likely remain so until NBN increases capacity on the network, hopefully with the implementation of the second Sky Muster satellite which was launched late last year. Just like to add my voice to James’ regarding Cape Town. My experience was that the staff are useless and do not understand the offers made by iinet. I even spoke to a supervisor who was ultimately downright rude and unhelpful. Made a call the next morning and got onto NZ – what a difference. Had the issue resolved in minutes! What great disappointment we have experienced since connecting to your Satellite Broadband package. We are living in Central Victoria, our signal here is appalling, so bad that we cannot backup our I devices, or experience any of the speeds that you say happen. Your package deals are something else,such low data packages are not at alll satisfactory. When is this situation going to be addressed? Sorry to hear about your connection issues on NBN Satellite. We’d recommend speaking to our Support staff, who can assist. With regards to the data limits, NBN have imposed strict data caps on service providers selling NBN Satellite services, in order to prevent their network not reaching consistent performance levels. Indeed, iiNet stopped selling the previous Interim NBN Satellite solution due to performance issues on that very service! As a result, we’re only able to offer the current data limits offered. As it is, NBN are actively enforcing restrictions and will reduce service levels for connections that breach data capacity. This may change once the second Sky Muster satellite completes preliminary testing and becomes operational in orbit, as this will provide greater bandwidth for the network. We don’t have exact details on coverage for that area. We’d recommend giving Sales a call on 13 19 17 and asking them to check your address! It’s interesting how we’re constantly bombarded about how many households are being connected, yet everyone I ask tells me they’re not even listed for NBN yet, much like myself. I was assured recently that we are still 4 years off being connected. I would love to know where these millions of homes actually are. The NBN are scamming us with imaginary data about their rollout and coverage. For instance, in 2016 we suddenly saw fixed wireless towers going up all around the area so that a few “out of towners” could connect, while the businesses in town are struggling. I was refused access because I am zoned for FTTN. Obviously more scamming to make it look like NBN Co is efficiently rolling out the network, when in fact its a “higgledy piggledy” botch job to make the statistics look good. I have been on to the Ohmbudsman about NBN Co, and apparently TIO can’t touch them. Another “secret handshake” organisation that operates outside the rules. The IINET support sales have become highly unsupportive and rude as well. Not ready to tell anything about when our area is likely to get NBN. Although Telstra and TPG already started taking calls for the connection in our area. Yesterday when I get connected with the sales team, a female told me that she will be back with some information and asked me to wait. I waited for almost 25minutes listening IINET music and after 25min I it was disconnected by them. Very very unprofessional. Sorry to hear this, as this isn’t the experience we want you to have had! I’m amazed at how many people are not on the NBN. Where are these 1.8 million households? Regarding connections, it really does depend on what is available to you. If you’re currently on an ADSL connection, then there’s fair chance that you’d end up on a NBN Fibre To The Node or similar solution. NBN Satellite is primarily reserved for those who have no access to alternate services, or where current service access is very poor. When is the expected NBN rollout to Clifton Hill, Vic? There is nothing slated for Clifton Hill in the current rollout schedule, sorry! My connection was a disaster and telstra failed to fix it . I had to buy a new phone, lost my fax line and had to employ a technician to sort it out. Nothing for Dianella WA approx 9 KLM North of CBD Perth. Nothing for at least the next three years, we’re afraid. Don’t hesitate to talk to NBN about it! I am still waiting for you guys to reply to my email as to when the NBN will be available to my home. How many emails does it take for you to reply? 20, 50, 100, 1000?????????? Why are you not interested in customer relations? I am still on cable, thankfully, and my internet download speeds are variable. Often, speed tests show that I have greater than 85 MB/s on cable, but that is misleading because when I actually download something speeds are often around 1 MB/s, which appears to be “fast(? )” after reading so many stories of people who are actually worse off on NBN!!! Also I in an inner Perth suburb of Como with no NBN. I have shown the map to Telstra technicians and Telstra shop representatives who cannot tell me why my suburb is not connected. Anyway, I would not want to be connected to NBN because my current download speeds on cable are much faster than what iinet advertises that my speeds would be with fibre. The jubilant nature of the NBN news is, at times, nauseating and very confusing, especially with so many blog posts of poor or non connectivity. Why I talk with my sister on the phone, who IS connected to NBN, there is often a delay so it is impossible to have a live conversation, and often one of us drops out, yet we are using the copper and fibre line. At this time I am with iinet and when I check up I will be connected to a HFC network. iinet informs me they only supply a Huawei HG659 Media Router– When I check it out it has a FXS port but I wish to use my old analog phones.I wish to keep my phone network but I cannot get a answer yes or no. At the moment I have a land line with Telstra and I need to keep my phone number. I have too many worries as to what what will hapen with my phones that cost me about $1000 approx. Liv in South Fremantle – moved 2km 18 months ago from central Fremantle- good Iinet ADSL2 at last address (16 +) – now as no new ports for ADSL available in South Freo (Telstra had stopped creating new ports) – NO broadband internet and certainly no NBN in this area. So paying a fortune for mobile wireless internet under very restricted limit otherwise over $400 month for 6-7 speeds. Iinet 18 months ago at first said no worries – then came back with “sorry – Telstra not making any new ports available” Been on a waiting list for a port for 18 months – but South Beach obviously a very healthy environment – no one dies to free up a port for 18 months. Been told another 1-2 years for NBN (maybe). Thanks for the update on this one. We understand how frustrating it can be waiting for ports. Interestingly, NBN is in build in your area and is available for pre-order. We’ve located your details and have arranged for staff to give you a call in the coming days to have a chat. My concern is that we are not given any approximate speeds or pricing, so why would I start thinking about signing up when I am very satisfied with my vdsl? In your case, there is no need to move. You can stay on VDSL2! Not going to get very excited about this. Was suppose to have it by now but got pushed back to 2019. Everytime I travel overseas I am reminded just how much Australia has fallen behind in broadband. Good luck iinet, I sincerely mean that but I don’t like your chances. I have just checked out the roll-out map. I appears that a large are of bush with about 12 properties in will get NBN sometime late this year/early next year. Which will be great for them, however, the area I live in, about 7 Km from this spot are not even on the proposed roll-out areas for 2018 and there are around 600 properties up here…..no wonder there are so many complaints when the logic is flawed from the outset. Latest information suggests early 2018 as the likely ready date for NBN in your area. Just signed with Foxtel who promised I could connect their hub to the NBN when it arrived. It did arrive and its HFC. Foxtel now say they only do fibre to the premise. What can iinet do for me. It is likely that NBN HFC is the only NBN service type available to you, as NBN will not roll out overlapping technologies. We may be able to do something for you! Yea mine seems really slow too even though I am paying for the 25 mp/sec one. Its not a lot faster than my old one which was max 200kb/sec. I have tried to check the speed but havent been able to so far. I must ring them up and ask them again. They said last time go to speed check or something but it wouldnt work for me. Other than that I am happy with it happy with Iinet always been good to me when I have had a prob. A lot of hype about nothing. We’ve gone from Build commencing 1st QTR 2016 to maybe build commencing second half 2018 so who knows when!